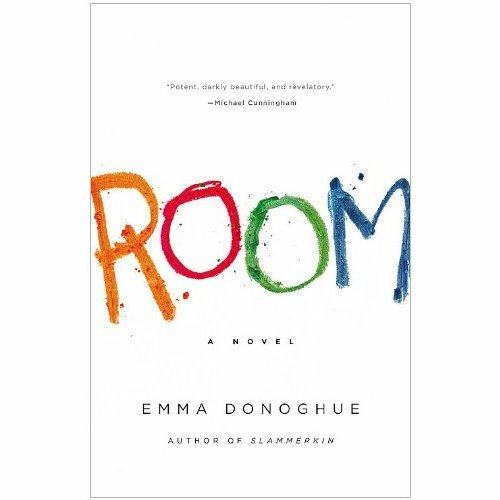 Told from the point of view of five-year-old Jack, ROOM by Emma Donoghue [on the short-list for the Booker Prize] details the inside lifestyle that is all this child has ever known. A man abducted his mother when she was a 19-year-old college student and has kept her locked in a sound-proof shed in his yard. Although she has moments where she checks out and remains in bed all day, the boy’s mother for the majority of the time is strong and teaches her son as much as she can. They maintain a daily routine which includes phys ed activities, math, reading and sometimes therapeutic screaming at the skylight [the only source of light in the room]. Now at the inquisitive age, Jack begins to question what he sees on television versus the life that the pair has developed within the inner chamber of this tiny room. Old Nick, the man who keeps them captive, visits most nights and during that time Jack remains hidden. As Jack becomes much more curious about the outside world and his mother grows increasingly restless and desperate, they make a plan to escape. It took me a bit to get used to Jack’s language and point-of-view. Instead of resorting to talk-show/ magazine scenarios readers may be familiar with, Donoghue makes ROOM unpredictable and honest. This entry was posted on September 24, 2010, 20:37 and is filed under Books. You can follow any responses to this entry through RSS 2.0. Both comments and pings are currently closed.